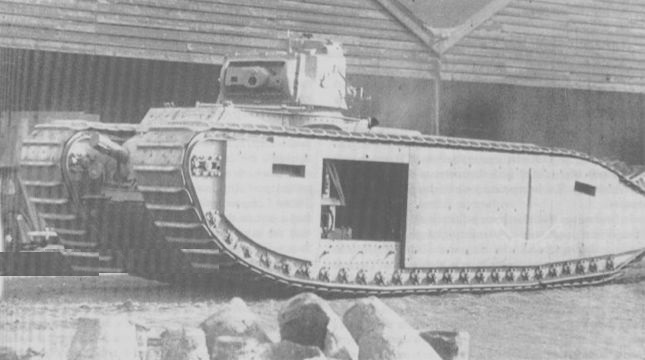 “The Old Gang” was related to the team originally responsible for the making of the first British Tank, the Little Willie back in 1915, but also “Mother” and the Mark I series to follow in 1916. This 1939 tank looked as it was frozen in time since ww1 with its narrow and elongated hull. A hull seemingly made to gap impossibly large antitank trenches and heavily cratered terrain. 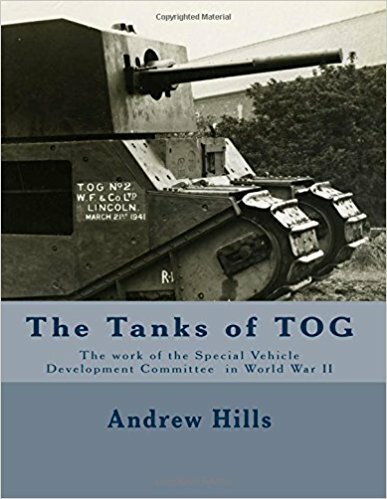 But there is more than meets the eyes in this dinosaur: The TOG is born from the creation just before the war of the Special Vehicle Development Committee. This organization was seeking a specifically designed tank for trench warfare. It was funded by Albert Gerald Stern with members such as Sir Eustace Tennyson d’Eyncourt, Ernest Swinton, Henry Ricardo, and Walter Gordon Wilson, all made famous for their involvement in early British tank development, hence the “TOG”. 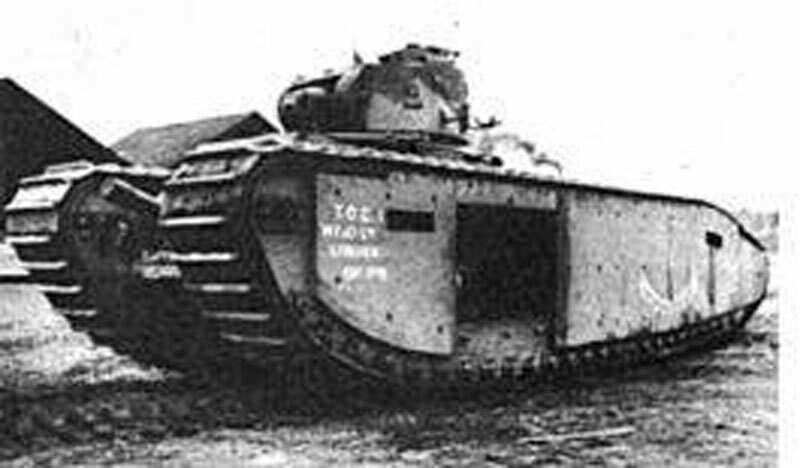 Moreover, this super-heavy breakthrough tank (80 tons), 10 m (33 feets) long was to be built by William Tritton of Foster’s of Lincoln. Protection was required against 47-mm AP sheels and 105-mm field guns/howitzers hits at 90m, while the main armament, placed in the hull, was to be capable of dealing with 7 ft (2.1 m) thick reinforced concrete walls. Lighter guns were added for self-protection purposes and several Besa machine guns covering all angles against infantry and even four 2-inch smoke mortars for concealment. Armour ranged from 15 to 62 mm (2.4 in) to the front. Design began in December 1939 with the delivery of a wooden mock-up. Eventually the TOG prototype received a 2-pdr gun armed Matilda II infantry tank turret, two others guns in lateral sponsons, and five MG ports. 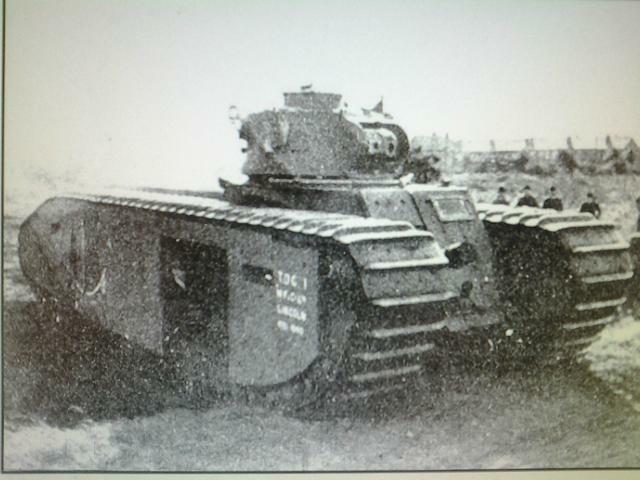 The full-length running tracks were unsprung, like old days rhomboid tanks was judged unnecessary and the TOG-1 prototype delivered in October 1940 was succeeded by the TOG-2 in 1941 (which influence was passed onto the Churchill prototype). Among other innovations, the front drive sprockets were connected to a potentiometer to vary voltage, connected to electric motors, shaping an electro-mechanical drive which proved quite unsatisfactory and was replaced in 1943 by a hydraulic drive designed by Fluidrive Engineering. The new model was renamed TOG-1a. After tests, the prototype was sent to Chobham but its fate remains unknown. Tank Encylopedia’s own rendition of the TOG-1 in 1940. The TOG-1, low quality photos, other views on trials. Any chance we could have an article about the TOG II with pictures please? you misspelled shell in the fate and design section. Does anyone have any clue what happend to this tank?